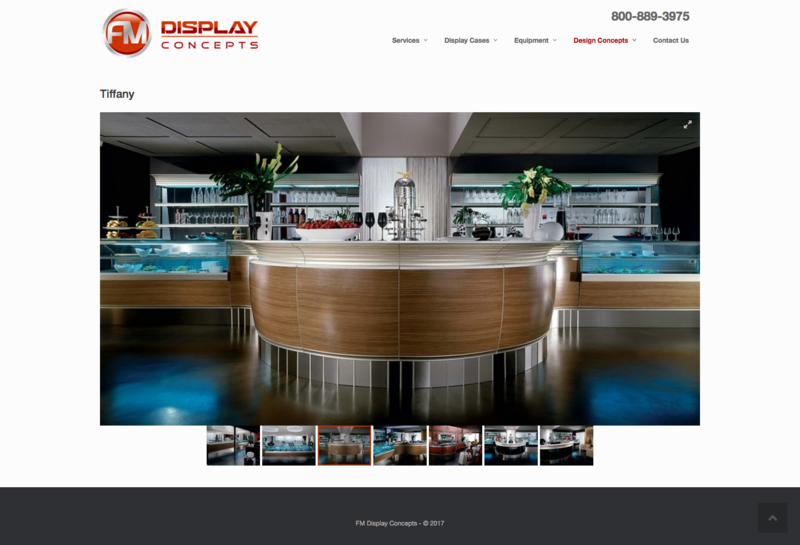 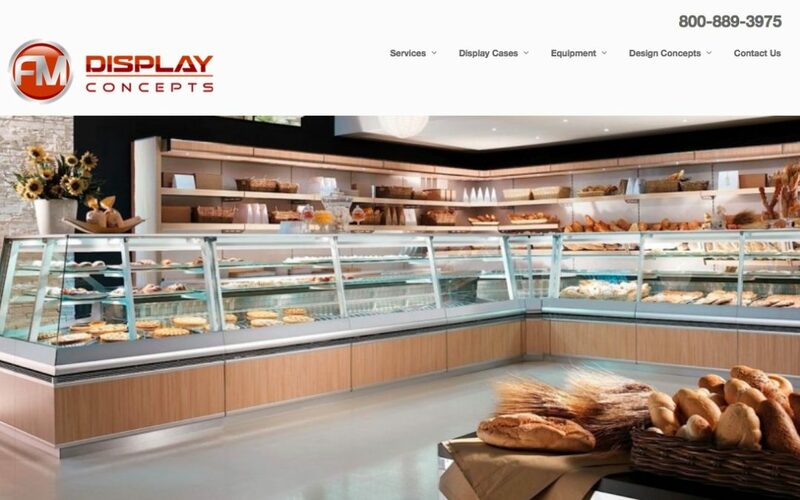 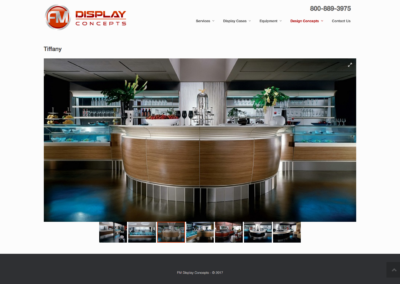 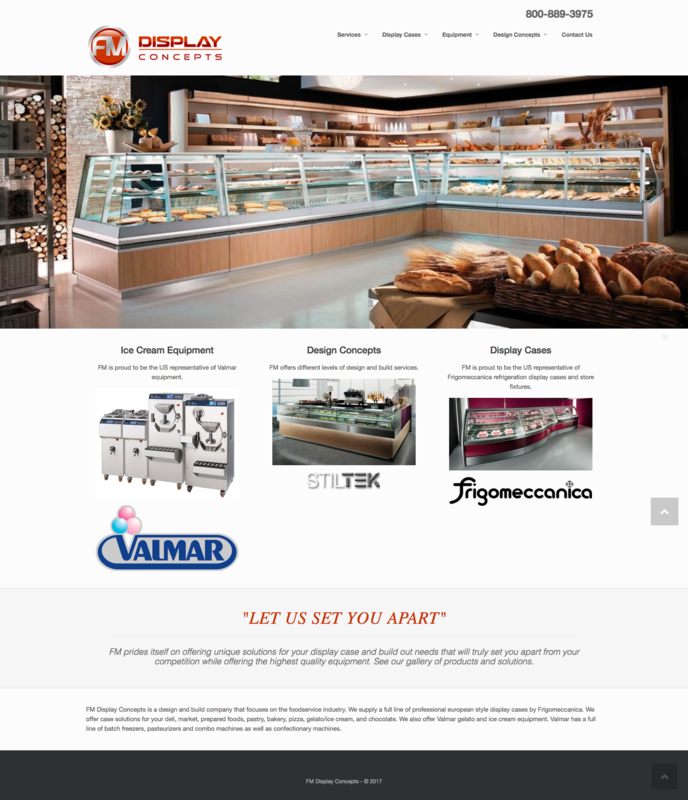 FMDisplayConcepts is a company that sells display cases and offers services for custom builds for the food service industry. 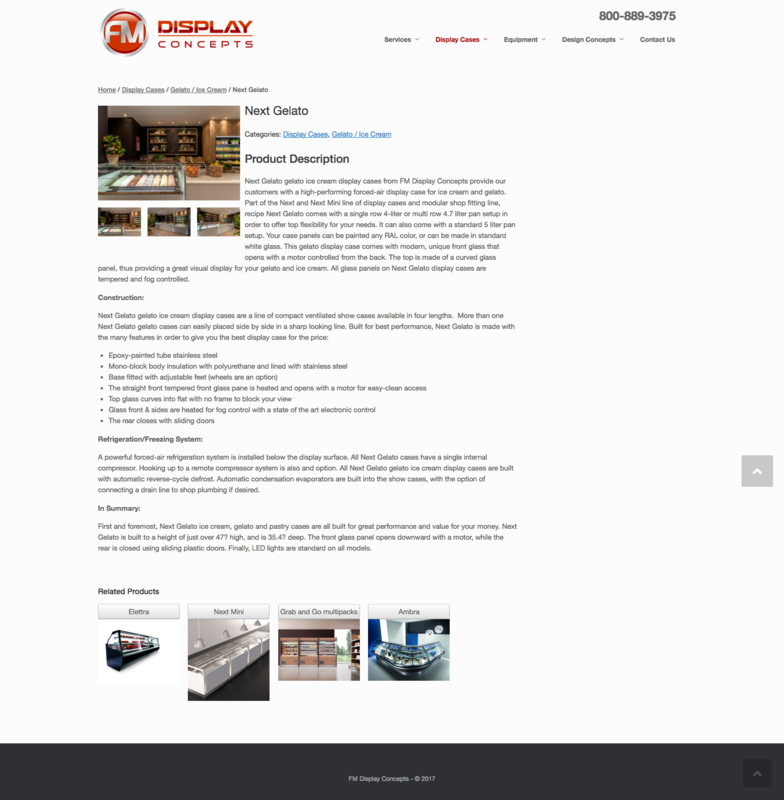 Even though the site is not specifically ecommerce, I used WordPress and WooCommerce, because WooCommerce provides a good foundation for organizing the products that are featured on the site. 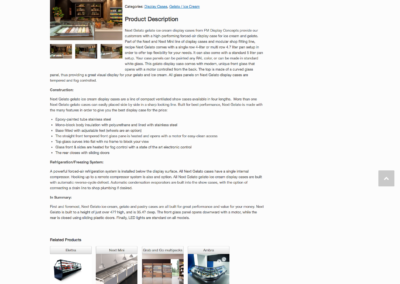 The concept of ‘Products’ and ‘Categories’ allowed the client to easily place what products went in each category. 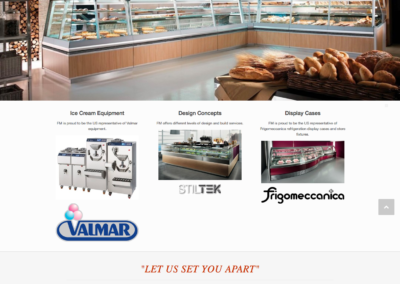 This gives the site organizational structure, but also flexibility since products often appeared in multiple categories.